Gymcor Ltd are a British manufacturer of high quality wall mounted gym equipment designed for both home and commercial gyms. We are one of the UK's leading manufacturers of pull up bars and dip bars and have supplied tens of thousands of products to individuals and businesses all over the world since we formed in 2008. 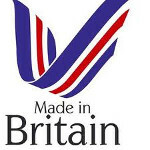 We take pride in the fact that our products are 100% made in the UK, employing local people and ensuring our customers get a product they can trust.